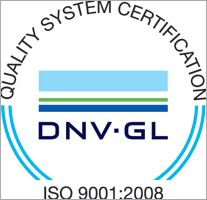 Unitop Aquacare is an ISO 9001:2008 certified engineering organization and a group of professionals having vast experience in Heat Transfer & Process Engineering projects. We are a trusted Manufacturer, Trader, Importer and Exporter in the field of Industrial Evaporation & Drying Technologies. The ultra-modern range of Engineering Goods that we provide include Caustic Recovery Plant, Effluent Evaporators, Dryer System, Vacuum Crystallizer, Automatic Filtration System, Vertical Crystallizers and many more. The company was established in the year 1974 and currently, running under the directorship of Mr. S.M. Mondkar and Mr. A.S. Mondkar. The overwhelming response and praise that we have received from our customers since then for our engineering goods keeps us highly motivated. Currently, we are serving more than 400 clients all over the world and continuously getting repeated orders due to the unmatched quality of our products. Our company works under the leadership of our dynamic manager, Mr. S. M. Mondkar, who has done his engineering in chemical from I I T Bombay. He has an experience of more than four decades in the domain of Evaporation & Drying and has been the main source behind us in starting with this business. His innovation and constant research work has helped us bring forth an unparalleled range. In the year 1986-87, we were the winner of Transworld Tradefare Selection Award because of our contribution in energy saving projects. Later, we also won Gold Medal & Silver Medal in the Coats Group International Contest for Revenue Generation projects and have received the prestigious Udyogshree Award as well. Another name which has contributed in our success is Mr. A.S. Mondkar. He has completed his graduation in Mechanical Engineering from Mumbai University. This talented professional is holding over 20 years of experience in process engineering industry.